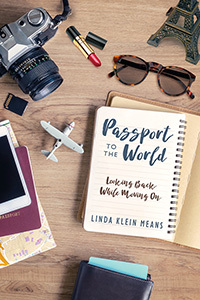 From the Midwest to Paris…..
Former Chicago Tribune reporter Linda Klein Means was born on a farm in Illinois and raised with strong values amidst family tragedies. Follow her travels through the world of newspapers, after which she spent years in Venezuela, Brazil and France, each offering amazing insights into other cultures while providing fertile breeding grounds for hilarious adventures and misadventures. Learn how the power of a grandmother’s love shined before her like a guiding star. Although she approached the abyss more than once, that guiding light made sure she never fell over the edge. Think with her about the issues surrounding Down Syndrome, a condition affecting her beloved brother John. Think with her about issues of racial “purity” while she and members of her Norwegian-American family look more closely into their heritage. Think with her about “unconscious” prejudice,” the ways in which we sometimes hurt others without meaning to, without even knowing we did. Only a dose of “Amazing Grace” will save us from that. Enter a very special church in Paris with her, and think about the ways in which it symbolizes the long, complex, and rewarding relationship between the United States and France. Enter a women’s prison with her, and become close to the unfortunates trapped within. Get to know them on a one-to-one basis. You will empathize and sympathize with them.